We feed 80-200 people per month, the majority of whom are children and elderly adults. We feed between 80 and 200 people a month, depending on the time of year. Every family the Nosara Food Bank helps has a different story and different problems. During rainy season our numbers go way up - September, October, November, and December are our most difficult months. With gardeners, security guards, and cleaning people making about $25.00 per day, there is little opportunity for people to save for the rainy season, when so many are laid off. We feed single mothers with young children who have incomes of $300 or less per month. Some of these women receive support payments, but it is our experience that these payments are insufficient to support the family. Some of our mothers work part-time, but again, they do not earn enough to support their household. While traditionally families have owned their homes without mortgages, we find more and more young families that are paying monthly rent or mortgages. As Nosara grows in popularity and population, land has become much more precious. Every month we feed 10+ elderly adults. Some of the adults we assist have never paid into the pension system because they have always worked "under the table". Some of them have adult children who are alcohol and drug-addicted and unable to fulfill the traditional role of supporting their parents. Some of them have been a burden to a struggling family, and our assistance provides some relief and gives the senior a sense of dignity as he/she contributes to the family. We feed people who are temporarily disabled or permanently disabled and waiting to receive government benefits or receiving very small pensions. In our dreams we have social workers on staff to assist people in applying for government benefits. Although such pensions are quite small - usually less than $100.00 per month, many of the disabled people we assist do not receive pensions. Confronted with a government bureaucracy that can bring even the most persistent to their knees, our families also struggle with illiteracy and lack of transportation. We drove one woman who seriously injured her knee to apply for benefits at IMAS. She received a pension of $100.00 per month for 3 months. After this time she was expected to re-apply, with all of the medical documentation, personal bills, and transportation problems (she could not climb into the bus) that such an application involved. Is it any wonder that people give up? We also help families who struggle with alcohol and drug addiction - a serious and common problem in the Nosara District. 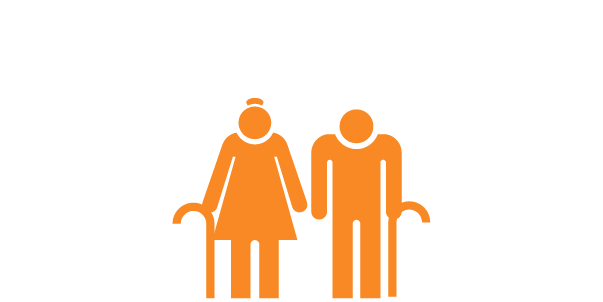 We understand that feeding the family of an alcoholic or a drug addict can be seen as enabling, but we are determined that children, the elderly, and persons with disabilities not go hungry. This is our primary focus. Several of our Board members are active in their churches and try to work with families whom are plagued by substance abuse problems. We are the first to admit it is a long haul. Unfortunately, we turn down requests for assistance every month. Some of the families we help receive food every other month so that we can reach more families. We do not feed able-bodied people who choose not to work. Food insecurity can be chronic in families where illness or disability makes work impossible, or alcohol/drug problems drain income away from hungry children. In many ways poverty looks the same in Nosara as it does everywhere. There are two types of food insecurity in the Nosara area. Families that live in extreme poverty—for a variety of reasons—and need assistance frequently. Families who need assistance in the September and October rainy season when large numbers of people are laid off from their jobs. The focus of the Nosara Food Bank is to help families with chronic needs while building reserve supplies for the rainy season when unemployment is at its peak. Compared to the rest of Costa Rica, the Nosara District is far behind. The poverty in Nosara is typical of rural isolation, with few social services available to low income families. Compounding the problem of local poverty is a large influx of Nicaraguan refugees who come to Nosara to work in the construction trades. Many of these men bring their families with them, and when the family falls apart, the women and children are left without the traditional familial support that is so important in Central American culture. In this way, the Nosara development boom has actually increased local need. As Nosara becomes more popular with tourists and ex-pats, the price of everything from land to a casado plate increases too. Not only are local people competing with wealthy foreigners, but Nosara's notoriously bad roads make transporting goods here expensive. Together with the fact that Nosara District is one of the poorest in the country, people struggle. You can see it in the quality of the local housing. When we talk to people about extreme poverty in Nosara District, we hear some crazy but popular myths. We hear that people live on their fruit trees and fishing skills - that they don't really buy their food in the grocery stores the way "we" do. WRONG! Yes, some people are able to supplement their food budget, but what we notice most is that our families are just like poor families everywhere - they are the ones with the poorest planning skills, the people least likely to garden or raise a pig. If they were good planners they wouldn't be in a situation where they need food assistance. There are lots of successful families in Nosara District, but we help the ones who are left behind. We also hear that "they all own their homes and don't have to pay rent". WRONG AGAIN! Sure some people own their land and their home, or can build behind a parent's home, but this is increasingly less common as the value of land in Nosara District increases. The Nosara Food Bank assists many families who struggle to pay rent, buy school uniforms, shoes, backpacks and other school supplies, make a motorcycle payment, and keep the electricity on. There simply is no disposable income if a child needs a pair of glasses, the cell phone gets lost or stolen, or someone needs medicine not available at the EBAIS Clinic (if they even have medical insurance). The Nosara Food Bank stretches every dollar you donate a very long way. Through our partnership with Banco de Alimentos, and buying additional food in bulk, we only spend about $5.00 per person per month. This provides enough rice, beans, and cooking oil for one month. Families also regularly receive sugar, cereal, diapers, flour, salt, milk for families with children 12 and under and pregnant or nursing mothers, laundry detergent, and pet food. 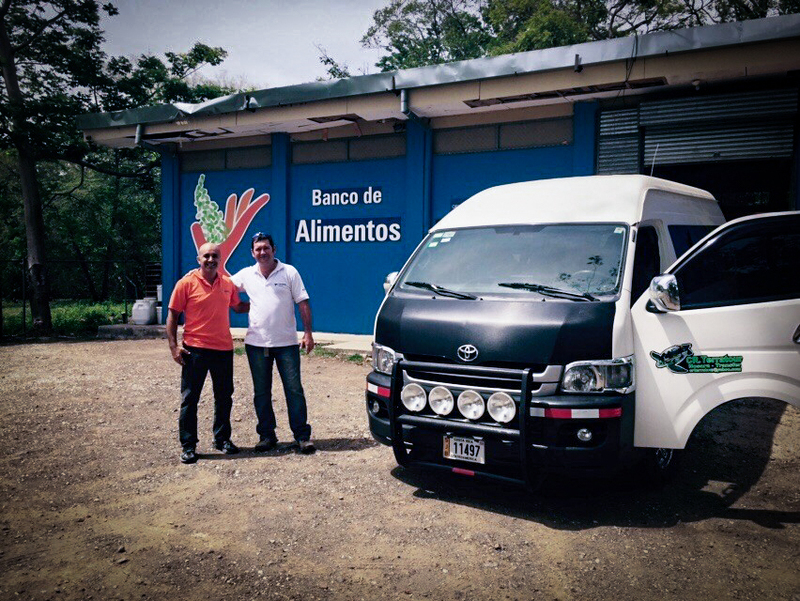 Our partnership with Banco de Alimentos is an important part of our operation. Banco de Alimentos collects damaged, out of date, and donated food from around the country, re-packages it, and provides it to organizations such as the Nosara Food Bank for a small administrative fee. We almost always get all of the rice, sugar, cereal, and laundry detergent we need from Banco de Alimentos. And, because CR Terratours picks up and delivers all of this food FREE, we save even more money. We also save by buying in bulk in Nicoya. As everyone who shops for food in Nosara knows, food prices are higher the farther food has to travel from San Jose. By buying in bulk at stores such as Pali, we save. The Nosara Food Bank also collects donated food in our collection bin at Super Nosara. The number of applications we receive is growing right along with the population of Nosara. We need additional funds each month to purchase food. The food donations we receive through our donation bin at Super Nosara do not even begin to meet our need. We must turn down applications every month because we do not have sufficient resources to meet the requests we receive. Please consider signing up for a re-occurring monthly donation by clicking the button below. We need a regular income stream to continue to meet increasing need. The truth is obesity has nothing to do with people having access to excessive amounts of food, and everything to do with poverty. The Nosara Food Bank helps larger numbers of families with food in February, so they have more disposable income for school items. As with any really big problem there's no simple answer. There are many different factors contributing to extreme poverty in Nosara District. Ask someone from abroad what the words "Costa Rica" bring to mind and you will get answers like ecotourism, adventure, no army, wildlife, jungles, surfing, yoga, beaches, sunshine, and coffee.